London Taxi Advertising is the UK’s number one taxi advertising specialist, driving brands to success on the streets of the country’s busiest roads for over ten years. We can help you stand out from the crowd on the streets of Northern Ireland! 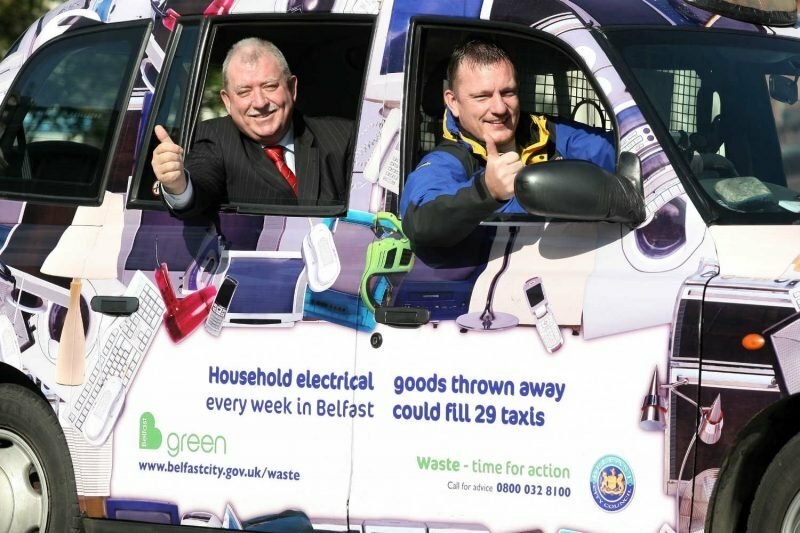 A country rich steeped in history, Northern Ireland has enjoyed a resurgence of late and is now a great location in which to consider a taxi advertising campaign. Why advertise in Northern Ireland? Tourism is at an all-time high, with over 15 million overnight visits recorded each year. Attractions include Giant’s Causeway and the capital city of Belfast. Hit TV show Game of Thrones is partially filmed in Northern Ireland, with fans flocking to these locations from around the world. Northern Ireland has a lot to offer in terms of culture, with Londonderry crowned the UK City of Culture in 2013. This fantastic occasion showcased the much-troubled country in a positive light, portraying it as a vibrant and unique place to visit and attracting major events to the city, many of which have gone on to become regular fixtures. Belfast has enjoyed economic growth in recent years, with employment up 16% over the past decade. The capital city is also home to the Northern Ireland Assembly and is the economic hub of Northern Ireland. It’s a great place to target if you’re looking to reach affluent business people and powerful decision makers with purchasing power.